Hi and welcome to Oh! Travelissima. I’m a writer and over the past few years, I’ve had the incredible fortune of being able to explore various parts of our wondrous planet. My list of dream destinations is still unfathomably long and the screensaver on my computer is of the delightfully quaint Cinque Terre, of which I daydream frequently. But in the last little while, I’ve visited destinations I’d only ever dreamed of and seen faces and places I’d once thought impossible. I’ve done things I’d once have adamantly insisted I’d never so much as contemplate. I’ve learned the rewards of risk and now more fully understand the value of following your gut instincts. I know that fear can be healthy and spontaneity can be life-changing. I’ve learned that people all over this planet are so different and yet so much alike. My travels have inspired me to write this blog to share some of my experiences with you. So please, pull up a seat, grab a cup of joe and join me, won’t you? I hope you enjoy the ride. Questions? Comments? I invite you to post your feedback; I look forward to hearing from you and starting a dialogue about travel and what it means to you. I want to hear all about your experiences, too! When I’m not on the road (let’s face it; there’s only so much a girl can travel! ), I’ll share my fave products that help make travel easier, more efficient and yes, more stylish! I like your blog and i am a traveler as well. When i travel, no matter how long, i never check in my luggage. So that means i have to pack lite. One of the products i use is a product called mysmartpac (www.mysmartpac.com). It is an emergency kit that you use on location and dont have to travel back home with it. Do you mind if we link you to our blog and website? Keep on travelling and keep on writing. Good luck. I’m looking forward to checking in to your new blog; I’m an enormous fan of JohnnyJet.com, but have never quite understood how he can travel with so few things, i.e., because I have to tune out when he talks about the benefits of traveling with minimal luggage (they don’t sell Louboutins everywhere and often times they are the only shoe that makes sense ;-), I’m looking forward to tuning into the ‘she side’ of the same travels. Thanks for your comment! I know exactly what you mean! However, I must say that I’ve learned a lot about packing efficiently from Johnny Jet! There’s definitely a way to compromise, meaning you can both pack smart AND have everything you need! It’s not always easy, but it’s possible! 🙂 We once traveled to Hawaii, Australia and back to Los Angeles for 16 days and I did it all with carry-on luggage. More importantly, I didn’t feel as though I was sacrificing my sense of style or leaving essentials at home. Perhaps this should be the subject of my next blog post! Fun blog! I’m a traveler too though unfortunately funds have slowed down activity recently but I love to hear about others travels and love the good tips. And its good to know that I might not be the only out there that would value pink polka-dotted matching suitcases! Thanks for checking out my blog — glad you like it! Flying British Airways business class was awesome, as was Heathrow’s Terminal 5! We’ll stay in touch! I have been following your traveling adventures via Johnny Jet’s website. Keep up this awesome blog! It’s been refreshing to read your take of things. I just bookmarked you. BTW…u might have the inside scoop. Is JJ ever going to lead a small group of his travelers aboard to Sydney like he said? I found your site when searching for blogs that featured Keep Calm and Carry On products, and was exicted to see that your writings focus around your traveling experience. I am writing from Keep Calm and Carry On USA, where we sell a variety of Keep Calm and Carry On merchandise. One particular item that may be of interest to you is our Keep Calm and Carry On luggage tags. You can take a look at them here: http://www.keepcalmandcarryonusa.com/keep-calm-and-carry-on-luggage-tags.html . Great reading about all your travels! Some of the places you wrote about I have visited, and some are on my wish list! Maybe you can contribute some articles to the wikipedia of guidebooks http://www.writingtravellers.com? Hi! I am a travel obsessed fashion design student from Vancouver, BC. I would love to get some feedback/your thoughts (and your readers’ thoughts) on whether you might purchase clothing like this, what is important to you when packing for a trip, how many items or what size of suitcase do you take on trips..etc Also what fabric properties would be important to you. And anything else you want to add! Any and all comments will be immensely helpful! Hey Natalie, I didn’t know where else to send this.. I can’t find your email address. Follow it back if you like it! Love reading your blog (and pics,too). Few years back we got the opportunity to travel to few places.. but I really wanted to go to Santorini! someday.. someday.. Thanks for your feedback! If you have the chance, do go to Santorini! It was such an experience — and if you do go, you have to take the donkey ride up! It may seem like a questionable choice at first but it’s definitely part of the fun! Great blog and I loved your Keep Calm and Carry On story and I agree poster is gorgeous especially against that wall! So I gotta ask- why didn’t they release the poster in wartime and where did they discover it in 2000? I adore the poster too — not just because I LOVE the Union Jack as a design element but because of the history behind it, too! The message has become so popular, you can find all kinds of things stating Keep Calm and Carry On (t-shirts, mugs) but I’m partial to the poster. You may want to check our new website http://www.celebrityspringbreak.com, we’re doing some really nice travel experiences for college students in Dominican Republic and Miami soon! I just came across your website, wonderful reads on here… Congratulations on your travel ventures, and very friendly and informative website. I’ve been browsing the internet in search of websites that may be interested in developing a link partnership with us. We are 77diamonds.com, an online family run loose diamonds and bespoke diamond jewellery company in London (UK). I am contacting you to find out if you’d consider selling text advertising space (link) on one of your pages. I’d be interested in a text link with words “Engagement Rings” linking to http://www.77diamonds.com. If so, could you please advise me on prices or let me know what other text link opportunities you offer. I look forward to hearing from you soon and I hope you’ll be positive about this offer! Hi Natalie, just found your blog and it’s great! I love your quote above, “I know that fear can be healthy and spontaneity can be life-changing.” That is so true. It’s only by stepping out of our comfort zone that we can grow and learn. Above all else, travel is an education. Keep writing, and keep traveling. We’d like to get in contact with you since we like your writing. If you e-mail me I will tell you more details about our proposal that you might find interesting. I’m intrigued by the Scottevest. Did you order according to your normal clothing size, or did you use the sizing chart? I’m normally an XS or a S, but the sizing chart seems to run smaller. Just wondering how you picked your size. Thanks! First, congratulations on your wedding and marrying someone who also loves to travel. Very cool! I heard about your blog via the Korean Air Twitter page. Second, Linwood’s latest is his best. His others are good but the new one should get him more attention. I love your Toronto posts! They are fantastic. Do you have an email I can contact you on? I really love your blog, I have it bookmarked for travel inspirations and product recommendations. Looking forward to more awesome posts! I would like to invite you to visit the CA Central Coast in 2016! I need an email address, please! 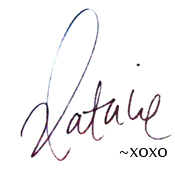 I love your blog, Natalie. It’s fresh and elegant. It was a pleasure meeting you last week. I’m in awe of the many places you’ve already been since we met. How exciting! I had to comment on your screensaver as Francesco, Orzo (our dog) and I went to Barnes & Noble last week and bought a Cinque Terre 2000 piece puzzle! Cinque Terre is beautiful in person. I, personally, did the hike when I studied abroad in Florence a million years ago. We hope to finish this puzzle of Cinque Terre by night before 2017. Haha. We love keeping up with your journey. Safe travels!